Nearly six years have passed since Hurricane Katrina drowned New Orleans in misery, but many residents haven't forgiven the Federal Emergency Management Agency for its sluggish response to the storm. Now another delayed reaction by FEMA – a stop-and-start push to recoup millions of dollars in disaster aid – is reminding storm victims why they often cursed the agency's name. 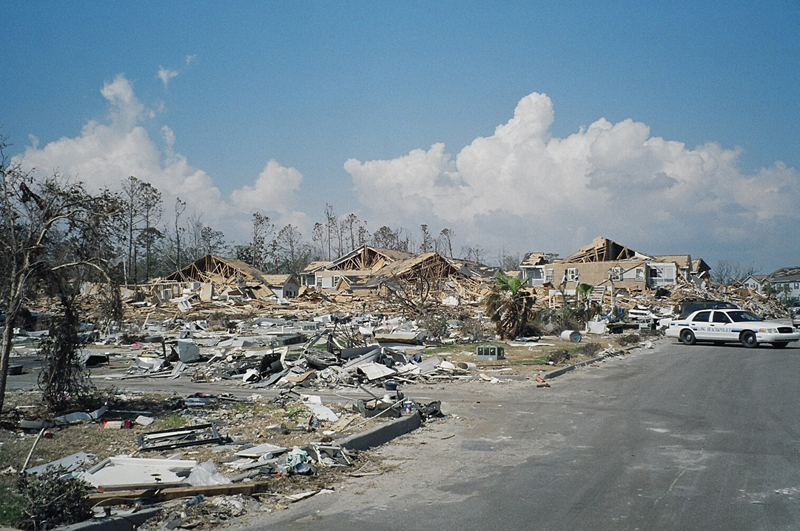 As a new hurricane season begins Wednesday, FEMA is working to determine how much money it overpaid or mistakenly awarded to victims of the destructive 2005 hurricane season. The agency is reviewing more than $600 million given to roughly 154,000 victims of hurricanes Katrina, Rita and Wilma and is poised to demand that some return money. FEMA already has sent letters to thousands of victims of other disasters, asking them to return more than $22 million. Letters to victims of the 2005 hurricanes could go out in a matter of months, but it's too soon to tell how many people will be told to repay or how much money is at stake. The effort isn't sitting well with victims who spent the money years ago and who could need help again if another powerful storm hits. It's of little consolation that FEMA says procedural changes since 2005 mean future disaster victims aren't likely to have to deal with large recalls of cash. Government forecasters are expecting an above average Atlantic storm season, with three to six major hurricanes that have winds of 111 mph or higher. While no hurricane that strong has made landfall since 2005, forecasters have warned that residents shouldn't count on that streak to continue. "When you get these high levels of activity the likelihood of a hurricane striking the U.S. goes up quite a bit," said Gerry Bell, lead seasonal hurricane forecaster at NOAA's Climate Prediction Center in Washington. Paul Wegener, whose New Orleans home flooded up to the gutters after Katrina, felt short-changed when FEMA gave him a $30,000 grant for a house that wound up costing more than $566,000 to rebuild. He applied for more through the state's Road Home program but was told he didn't qualify. The thought of having to return some of his federal aid only compounds his frustration. "They'll have to pry it from my dead hands if they try," the 75-year-old said. Under political pressure to help residents after Katrina, FEMA relaxed its safeguards and paid millions so victims could pay for food, clothing, shelter and medicine and also get started on home repairs. But that allowed thousands of improper and fraudulent payments. FEMA employees awarded money without interviewing applicants or inspecting property and made errors that ranged from recording incorrect banking information to failing to check whether insurance had already covered damage, according to congressional testimony. The 154,000 cases under review account for less than 10 percent of the $7 billion that FEMA has given to victims of the 2005 hurricanes through its individual assistance program. The recoupment effort doesn't apply to other big-dollar disaster aid programs, like Road Home, which was financed by a congressional block grant. While hundreds have been convicted of hurricane-related fraud, FEMA spokeswoman Rachel Racusen said many of the cases under review involve mistakes by agency employees or the recipients themselves. Some payments will be deemed proper, some could be referred for fraud investigations and the rest will get letters telling them to pay back improper payments caused by human error, according to Racusen. Luisa Mejia, 28, was living in an apartment in Metairie, a New Orleans suburb, when Katrina drove her family out of town. "We left with nothing but important papers and maybe two sets of clothes," she recalls. "We were in Atlanta with no money, living in a home with 40 people." All they got from FEMA was a check for $1,200, which they used to buy clothes and food. Six years later, Mejia can't understand why FEMA would ask residents to pay for its employees' mistakes. "I didn't get the type of money that would make me rich from Katrina," she said. "For people who were honest like me, it's crazy." FEMA's attempts to collect Katrina and Rita overpayments already have sputtered once. Residents who lost homes filed a class-action lawsuit in 2007 challenging the denial of their housing aid and the recoupment process. The lawsuit argued that FEMA's debt collection efforts were full of errors, based on vague standards and without hearings that would ensure fair treatment. A judge ordered the agency to suspend the debt collection in 2007, while the lawsuit was pending. FEMA responded by withdrawing all debt notices sent to Katrina and Rita victims and drawing up new guidelines that the agency says will give victims clearer explanations and more opportunities to appeal. With those guidelines finally approved this year, FEMA started reviewing its backlog of potentially improper payments. "Under our current leadership, strong protections have been put in place to greatly reduce the error rate of improper disaster payments," Racusen said in a statement. The agency said it has slashed its error rate involving disaster payments from 14.5 percent after Katrina to about 3 percent in 2009. Critics say the initiative could hurt thousands still struggling to recover, and they doubt whether much of the money would be collected. They also predicted court challenges. "People used this money to survive," said Davida Finger, a law professor at Loyola University in New Orleans who represented plaintiffs in the class-action case. "We don't want people to have to give money back that they simply needed for rent and food." FEMA says it is bound by law to try to collect improper payments, but lawmakers have sponsored legislation that would authorize the agency to waive debts if they resulted from an error by FEMA. A Senate committee approved the bill Thursday. No vote by the full Senate has been scheduled. "Most of the families facing recoupment are honest disaster survivors, facing incredible challenges, who used funds for legitimate and urgent disaster-related needs, and who never intended to accept money to which they were not entitled," said Sen. Mary Landrieu, a Louisiana Democrat who co-sponsored the bill. The FEMA letters will give individuals at least 30 days to pay back money and explain their ability to appeal, to apply for a hardship waiver or to seek a compromise. Diane Ridgley, 56, a plaintiff in the 2007 lawsuit, recalled getting a letter from FEMA demanding repayment of nearly $17,000, money she used to replace personal belongings and pay for rent after Katrina destroyed her New Orleans duplex. FEMA told her she should have been ineligible because she listed a family friend with whom she evacuated – but did not live – as a member of her household on her application. Ridgley claimed FEMA employees told her to list him that way, but she received a series of confusing letters and denials when she appealed. She said she believes she has finally proven she was eligible, but has kept all of her paperwork in case FEMA comes calling again. "I don't want nobody coming back on me telling me I gotta pay money," said Ridgley, who recently was laid off her job as a hospital housekeeper. "I know people were doing all kinds of wrong things at the moment. It was desperate times. But that doesn't give them the right to come back six years later."